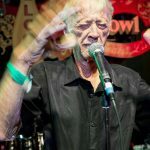 The musician most closely associated with Poodle’s Patio was Leon Gross, better known as Archibald. His hard-pounding barrelhouse piano style, forged in honky tonks and brothels before the war, presaged the emergence of Fats Domino. In 1950, his version of “Stack-A-Lee” on Imperial Records became the first recording of the folk song to climb the Billboard charts. Poor health limited Archibald’s ability to capitalize on the hit, but he held a residency here for years. In the early 1960s, a young bandleader named Mac Rebennack played behind Robbins into the wee hours. During the day he worked at Cosimo Matassa’s nearby recording studio, writing songs, playing sessions, producing, and serving as an A&R man. Later in the decade he developed the persona of Dr. John, based on an old New Orleans spiritual leader, for the singer Ronnie Barron. Barron declined it, and Harold Battiste encouraged Rebannack to step into the role himself. He decided to “wing it,” setting him on a path to the Rock and Roll Hall of Fame. Rebennack got the gig at Poodle’s Patio through his running partner James Booker. Booker was a genius at the keyboard, veering from Chopin to Ray Charles, often to the astonishment of his fellow musicians. 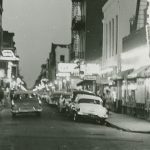 Like other black musicians in the R&B era, he worked Bourbon Street between recording sessions and stints on the Chitlin Circuit. 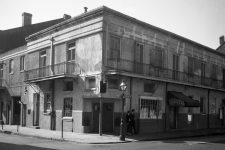 At Werlein’s music store, Booker taught Rebennack to play the organ so their bands could rotate from Poodle’s Patio to other clubs on Bourbon Street. Rebbenack, whose group was white, and Booker, whose group was black, swapped backing musicians one at a time over the course of a night to flout segregation laws. They played till the sun came up, using strategically timed solos to step away and feed their drug habits. 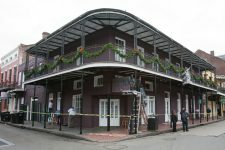 In 1962, Poodle’s Patio became the first Bourbon Street nightclub to be padlocked in District Attorney Jim Garrison’s notorious vice raids. 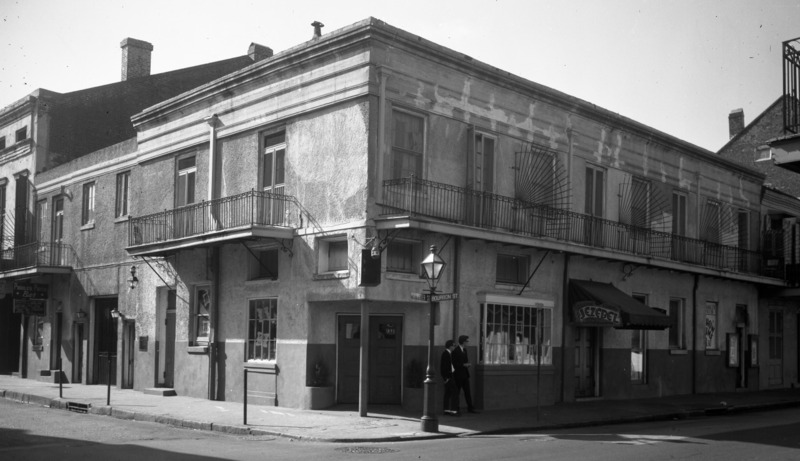 In The Last Madam: A Life in the New Orleans Underworld, Christine Wiltz reports that Garrison targeted the club in retaliation for Robbins having rebuffed his advances. The dancer was taken off stage in handcuffs, in front of a full house, for indecency. 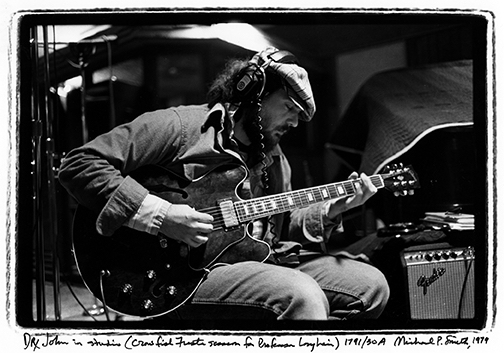 In Los Angeles in 1972, Dr. John played some old tunes for producer Jerry Wexler, including one of Archibald’s from his Bourbon Street days. 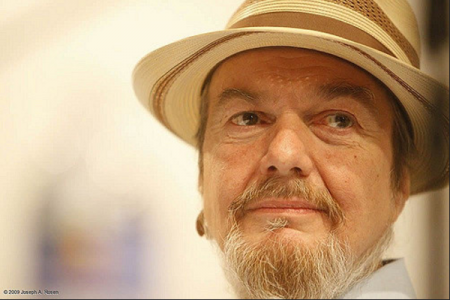 Wexler bit, leading to Dr. John’s acclaimed album Gumbo, an homage to classic New Orleans R&B. From 1986 in Montreux, Dr. John performs "Junco Partner." 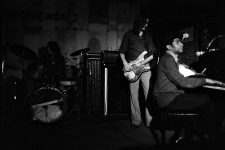 From Lily Keber's 2013 documentary "Bayou Maharajah," Dr. John discusses the enigmatic James Booker, who taught him to play the organ. 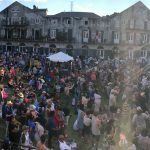 Video posted by Bayou Maharajah. 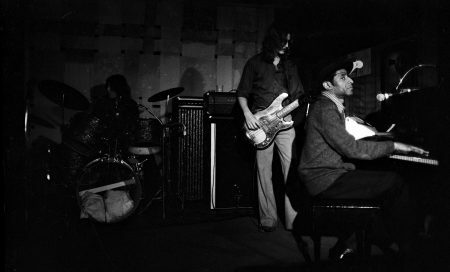 From 1983, the year of his untimely death, piano wizard James Booker plays at the Maple Leaf Bar, where he had a regular gig. Video posted by Ali Ben Saad. 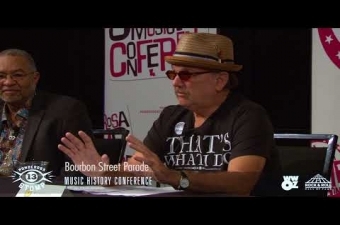 From the 2017 Ponderosa Stomp Music History Conference, Meters bassist George Porter, Jr. and drummer "Wacko" Wade Wright discuss gigging on Bourbon Street in the 1960s. Video posted by The Ponderosa Stomp Foundation. 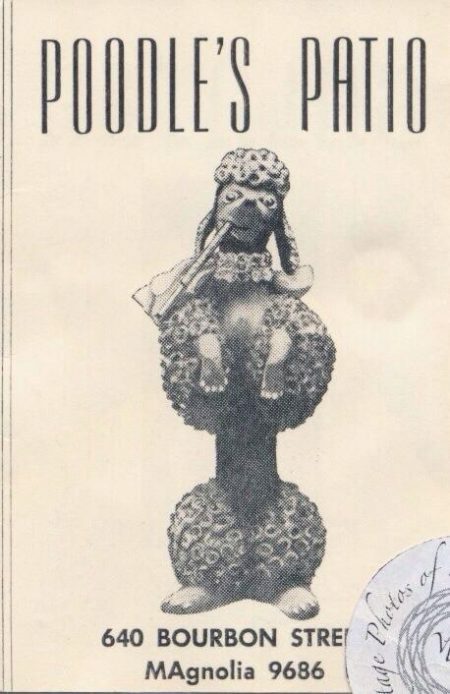 Table card from Poodle's Patio. 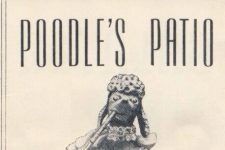 Poodle's Patio, with an awning advertising the burlesque star known as Jezebel (Mac Rebennack and James Booker were unbilled). 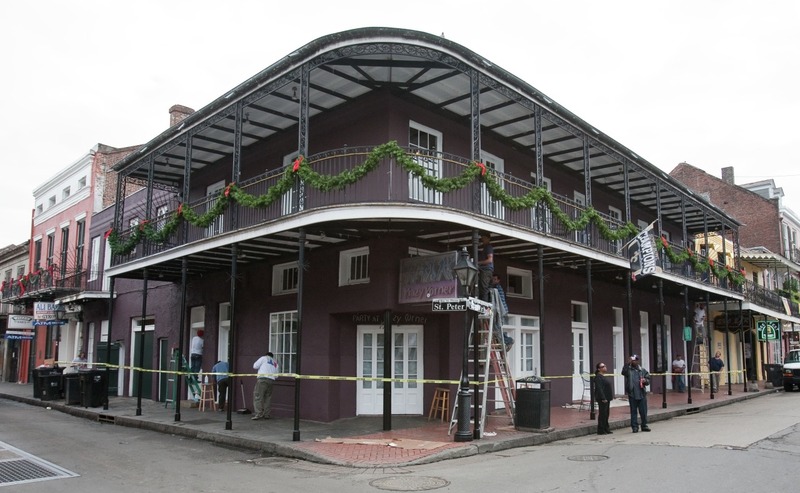 Courtesy of the Collins C. Diboll Vieux Carre Digital Survey at The Historic New Orleans Collection. Photo by Dan S. Leyrer. From 1961, composer and music historian William Russell outside of Poodle's Patio, where the pianist Archibald held a residency. Courtesy of Hogan Jazz Archive, Special Collections, Howard-Tilton Memorial Library at Tulane University. From 1979: Dr. John recording Professor Longhair's album Crawfish Fiesta in Sea-Saint Studio. From ca. 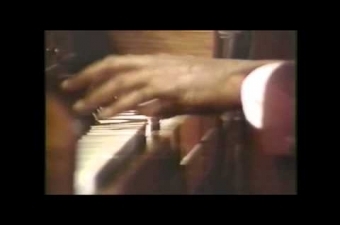 1978, James Carroll Booker III, one of the most talented musicians from New Orleans or anyplace else. ©The Historic New Orleans Collection, 2007.0103.1.800. Photograph by Michael P. Smith. 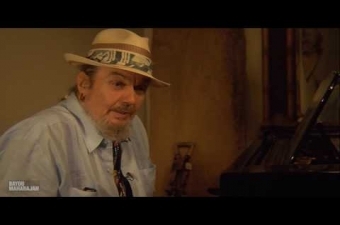 Dr. John at the 2009 Ponderosa Stomp Music History Conference in New Orleans. The former site of Poodle's Patio, now the Krazy Korner at the corner of Bourbon and St. Philip. 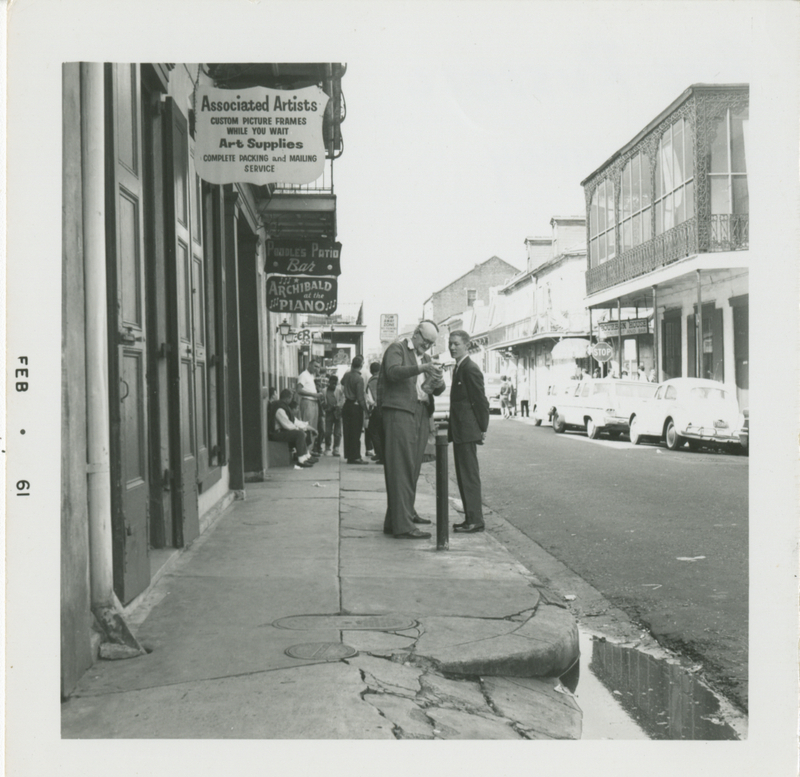 Courtesy of the Collins C. Diboll Vieux Carre Digital Survey at The Historic New Orleans Collection. 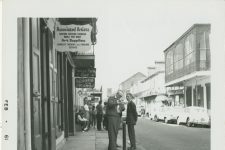 Photo by John Watson Riley.